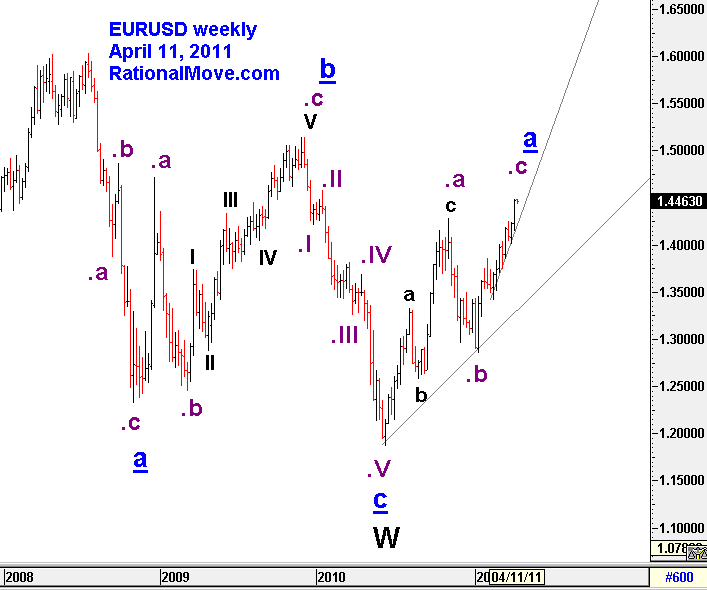 Wave .1 is from 1308.45 to 1445.05 and $136.6 in length. 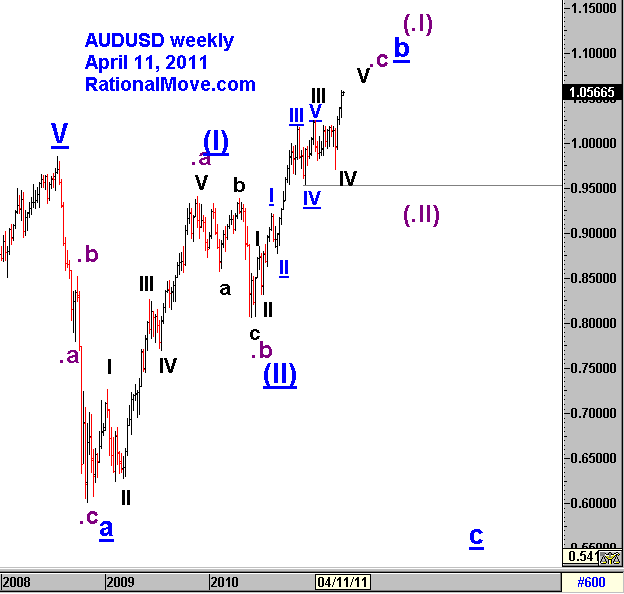 And Wave .3 started from $1381.25. So now, the length of Wave .3 has reached the length of .1. 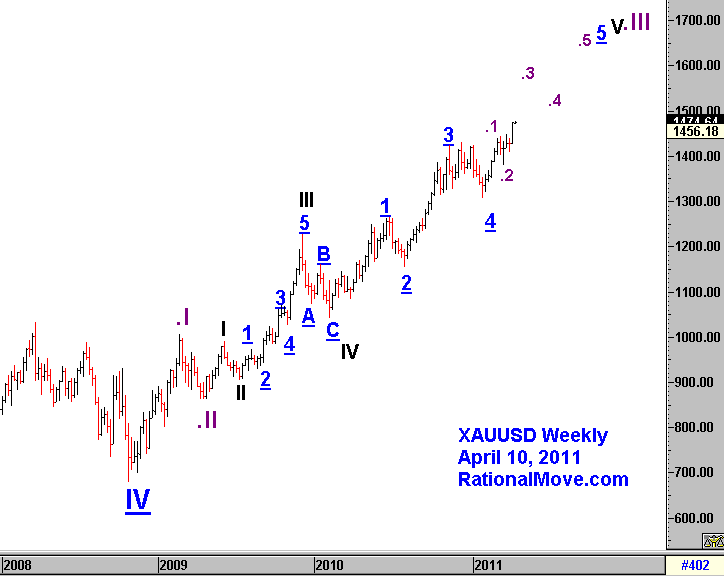 Elliott wave defines Wave 3 of an impulse wave not to be shortest among Wave 1, 3, and 5. 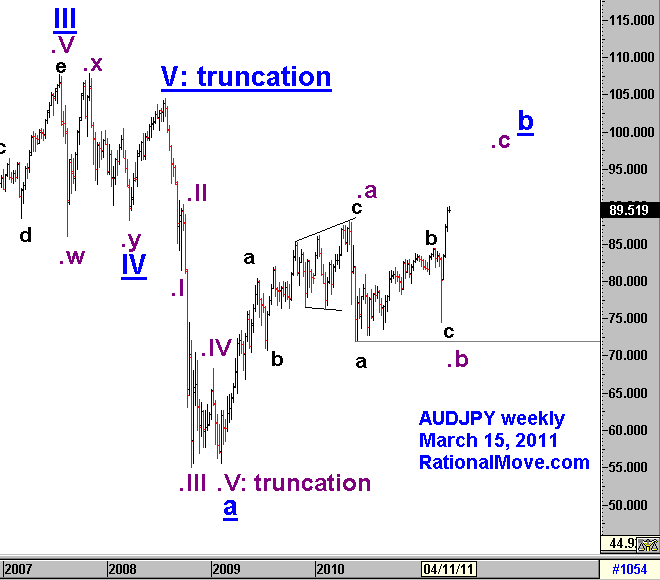 Elliott wave suggests Wave 3 to be often the longest, and it also suggests the length of Wave 3 in price often reaches 1.618 times Wave 1. 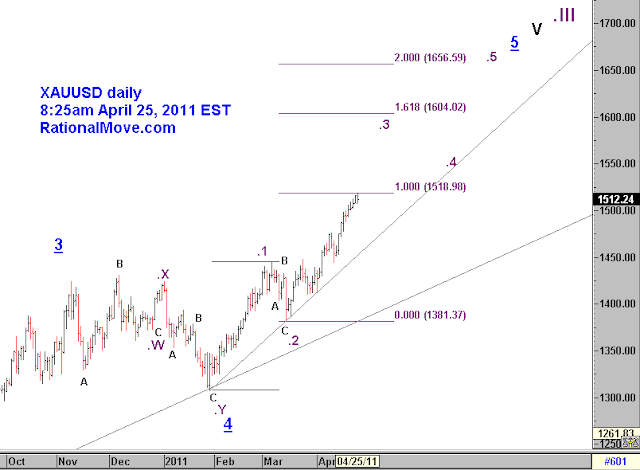 If I assume all above, the target for Wave .3 is $1600 level. As the gold making record highs everyday, some people may start worrying and take profits. But more people may start jumping into gold buying thinking that $1500 is the new standard. I do not know what will happen, but all I know is I entered the market early enough (average entry point of $1450) to lock my break even point, and just follow the trend until either reaches my target ($1600) or it gives the sigh of reversal. I was traveling for a couple of weeks, and I have not updated my quarterly result at the end of March. In Q1, I only traded once and it was negative 2.32%.